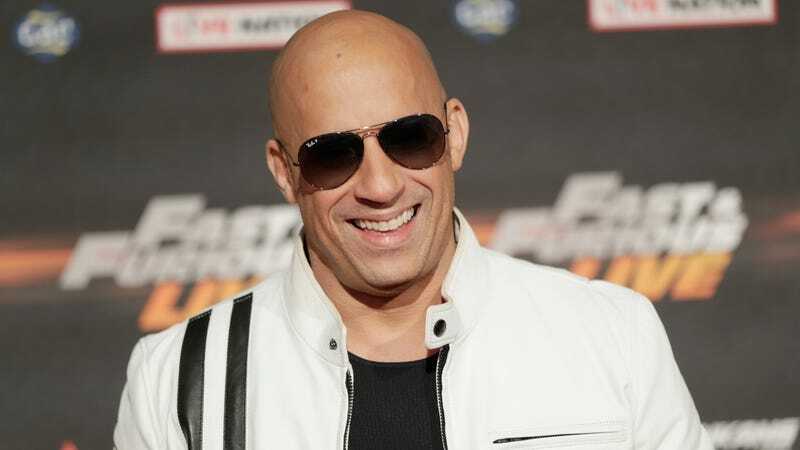 Vin Diesel’s donning his shades, dropping it into fifth gear, and roaring from the mean streets of L.A. into the lush forests of Pandora for his next film role. Yep, Dominic Toretto is trading black tanks for blue bodypaint, with the actor confirming that he’ll soon be clinking Coronas with James Cameron’s Na’vi. In a video posted to Instagram, Diesel and Cameron greeted fans from the “set of Avatar 2, 3, 4, and 5.” Diesel heaped some praise on Cameron, a director he said he’s always wanted to work with, before signing off. It’s unclear what role Diesel will play, but, considering no one will probably be able to remember it after the movie comes out maybe that’s not such a big deal. Diesel joins Kate Winslet, Cliff Curtis, and Oona Chaplin as the franchise’s newest stars. Sam Worthington, Zoe Saldana, Stephen Lang, and Sigourney Weaver, meanwhile, will return for the absurdly named sequels, one of which, we’d like to remind you, is called The Seed Bearer. The second, The Way Of Water, is slated for release on December 18, 2020.